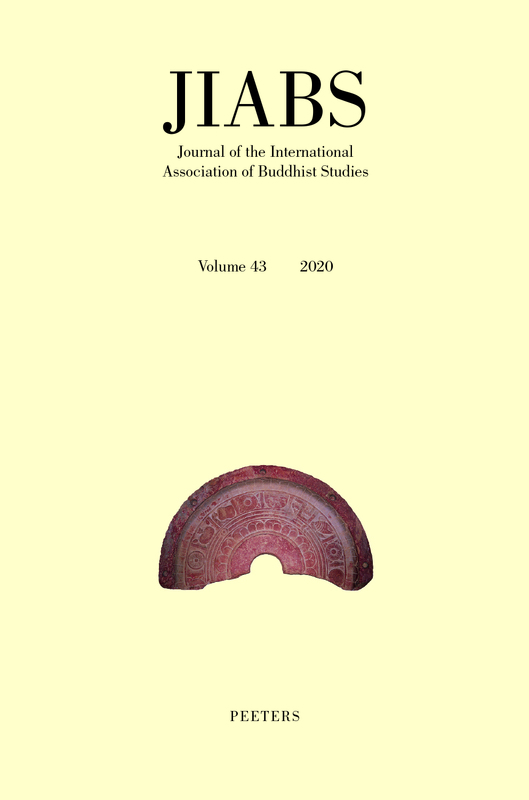 The Journal of the International Association of Buddhist Studies is the organ of the International Association of Buddhist Studies, Inc. (iabsinfo.net) The JIABS welcomes scholarly contributions in all areas of Buddhist Studies, as long as they are based on research on primary sources, including anthropological, archaeological and art-historical ones. A double-blind peer-review process is used to ensure the high academic quality of all contributions. The JIABS publishes only substantial book review articles. Publishers are advised to consult with the editors before sending review copies. The JIABS is published yearly. The Journal of the International Association of Buddhist Studies is abstracted and indexed in ATLA Religion Database; ERIH PLUS (European Reference Index for the Humanities and Social Sciences). Volumes not available on this website can be consulted in the Heidelberg archive.